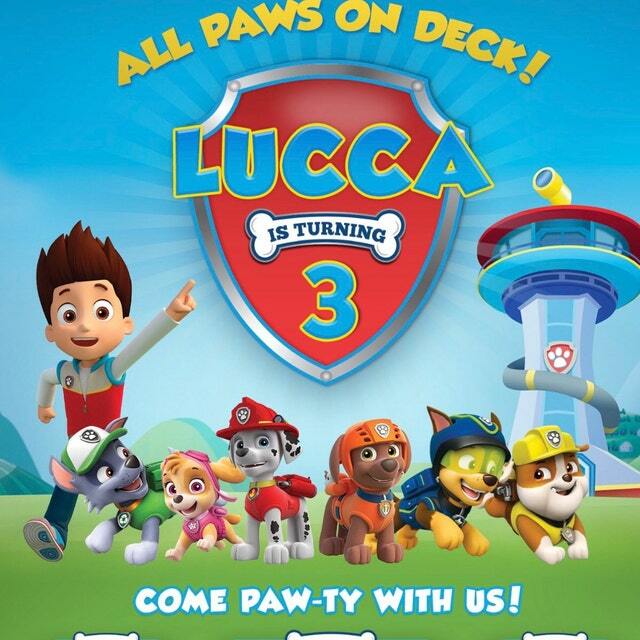 This Printable Paw Patrol Birthday Invitation with free thank you card is a great way to cheerfully invite a bunch of little ones to have lots of fun in the company of some of their favorite pups. This one features Rubble, Zuma, Chase, Rocky, Skye, Marshall and of course, Ryder! Printable Paw Patrol Birthday Invitation with free thank you card to print at home or Print Lab. Printable Paw Patrol Birthday Invitation with free thank you card. Invites are perfect! Two thumbs up! MagicDreamsDesign accommodated my request for two names on one invite (for twins). I received the downloadable file within 24 hours. Very pleasant to deal with! Invitations turned out awesome. My son loves them! Exactly what we needed for our Paw Patrol! Thanks! ? Vendor was super quick in response time and easy to communicate with. This was a quality product and I was very pleased! Good quality. Great service. Would order again for sure. Very cute! Thank you!!!! Shop owner easy to work with! WONDERFUL! printed beautiful at Walmart and since I ordered online Walmart even gave me free envelopes! great design and colors! Love the card! Great customer service and quick turn around. Thank you! This invitation is so adorable! I just sent these out and it got everyone to reply early because they had to reach out and saw how cute they were. The quality is amazing and colors are super bright. Also, very quick turn around even with my edits, all within 24 hours. I can’t wait to use the thank you notes that come with this as well. I would definitely recommend and use again. Thank you!!! Couldn’t be happier! My son and I loved them!! Got lots of compliments on design!! I got the proof quickly and the invitations printed out well. Excellent Quality. Unbelievably quick turn around time from order to delivery. I will definitely recommend.